You’re in an HTML class. Or you just want to learn HTML and maybe CSS. You want to write, test and debug your code without the fuss (and possible expense) of running a web server either locally or remotely. NetBeans on your Mac allows you to achieve that. In the course of learning to write HTML you will want to load your HTML code on a web server and connect to it with a web browser of choice. For example, Safari. But this presents some minor problems for the new student. Even more troublesome for the beginner is to engage an ISP or web service, that charges you to host your website. The cost and the fuss of uploading constantly changing test code (and potential security issues) make this approach equally unsavory and inconvenient. The latest version of Netbeans is version 8.2, is written in Java and uses Java 8. This is where you want to be. It used to be that the NetBeans install package included an installation of Java, but thanks to some confusion (and a conflict) with Java 9, this is no longer the case. Even though the NetBeans download package says Java is in there, it isn’t. Step 1. Java 8. 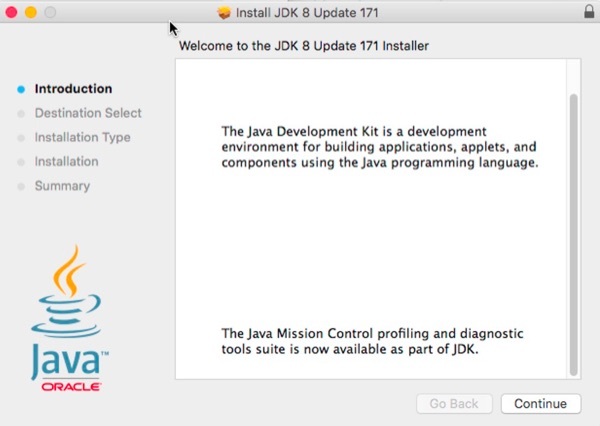 Download and install the latest version of Java 8. (macOS no longer ships with Java.) 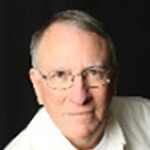 You’ll find this at the Oracle.com website. 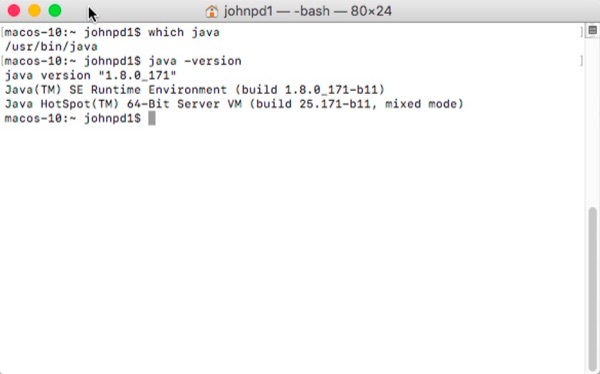 If you’re hesitant to install Java on your Mac’s boot version of macOS, you could, instead, run macOS as a virtual machine and do everything there. 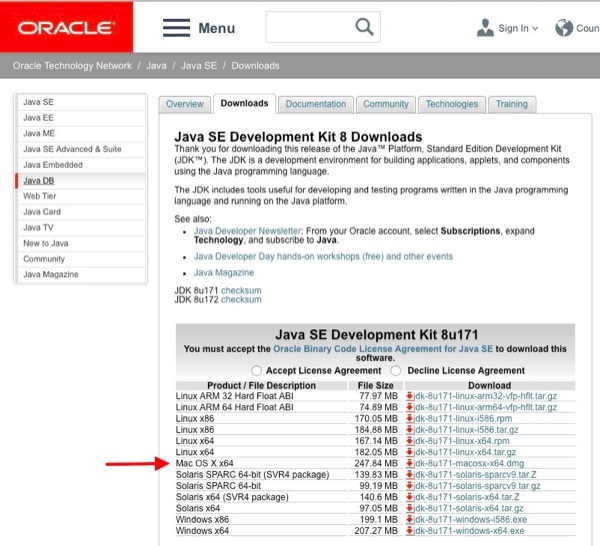 Oracle’s Java SE download page. You’ll recognize the download file because it’s a standard .DMG file. Inside is the install package. Java installs just like any other Mac application that uses a package installer. Page 2: The NetBeans install is next.